5 eating strategies that'll get you a sleeker belly. Researchers have found that women put on more fat around their midsection as they get older -- and if you're stressed, overweight or menopausal, your waistline is more likely to balloon. But that's not to say a poochy tummy is inevitable with age: Couple cardio and core exercises with a sensible eating plan and you can stay trim and look fab, say health experts. With these belly-friendly diet tips, you'll be empowered to beat the flab. A recent Danish study found that women who ate more fiber gained less weight with age, particularly around their middle, than women on low-fiber diets. So how much fiber should you aim to take? 25 to 30 grams a day, recommend experts. 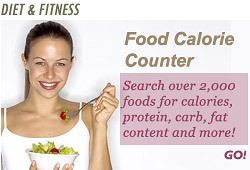 Good sources include fruits, vegetables, beans, and whole grains. Stress causes weight gain because when you're often anxious or feeling overwhelmed, your body produces stress hormones like cortisol, which encourages the storage of fat in the abdomen. Studies have shown that hunger can trigger the same effect and send cortisol in overdrive, leading to an expanding waistline. To keep your hunger under control, eat five or six smaller meals instead of three main meals. Sodium causes your body to retain fluids. That's why a diet high in sodium can result in a bloated stomach as well as raise your blood pressure. Stay away from high-sodium culprits such as processed and canned foods, and whenever possible add flavor to your foods with herbs and spices instead of salt.